Irish (& Celtic) Music to Get You in the Mood for St. Patrick’s Day! Céad Mile Fáilte – One hundred thousand welcomes to you – and thanks for stopping by Flourish & Knot today! Today is a departure from my usual DIY topics: I’m writing about my other great passion, Celtic & Irish music. In honour of Ireland’s BIG DAY on March 17th, I’ve rounded up my favourite traditional Irish & Celtic bands for St. Patrick’s Day. I don’t often write about music here on Flourish & Knot. My day job (when I’m not on maternity leave, that is), is as a musician and music teacher, so I like my blog to be a completely separate escape. I wrote a bit about my experiences teaching choral music in India, and I blogged about why singing in a choir is THE BEST, but I really tend to keep things to the DIY realm here. I thought long and hard about what to do in the way of a St. Patrick’s Day post, and I just felt like I wasn’t being true to my Celtic heritage: I needed to write about Irish music. Irish music is a staple – obviously – of St. Patrick’s Day, and I used to play SO MANY GIGS at this time of year; but it always made me a little sad that people were more interested in hearing the same old same old “St. Paddy’s Day” tunes and songs (‘Black Velvet Band’, I’m looking at you!) and not the actually traditional music! Traditional Irish music is SO wonderful and emotive, and I really hope that I can give you some alternatives to the usual pub-fare tunes. Bodhrans, tin whistles, and dancing shoes at the ready… Here we go! In no particular order! Click the band’s name to go to their webpage. The grandfathers of Irish traditional music themselves. I had the immense pleasure of hearing them live when I was just getting started as a fiddler, and they are the definition of consummate performers. The Chieftans have recorded countless albums and collaborated with the best of the best in all musical genres. I personally prefer some of their older recordings, but their collaborations are really worth a listen, too! The band that got me into Irish music in the first place! Danu has been around for over twenty years, yet their music never fails to feel fresh. They have some new membership since I last checked in and I really enjoyed what I heard! I came to Lúnasa’s music relatively late in the game, and I just love how tight their arrangements are! Awesome, well-played, thoughtfully-arranged traditional and new Irish music. Lots of variety in the sound, too! So… The Dardanelles aren’t actually Irish (they’re from Newfoundland, Canada) but the style of traditional music they play incorporates a lot of the Irish sound, so I thought I’d include them. (Plus, they’re music buddies of mine!) Mostly I included them because THEY ARE AWESOME. Everything they play is full of brilliant musicianship! Solas is a trailblazing Irish-American band (their name means “light” in Irish Gaelic) whose uplifting and varied arrangements are sure to delight you. Their performances (even of slow airs or ballads) are always full of energy and their musicianship shines. If you’re hosting a St. Patrick’s Day gathering this weekend, I hope you’ll think about incorporating traditional Irish music! The music of Ireland (and of the wider Celtic nations) is diverse: everything from lilting beautiful melodies to driving dance tunes. Your guests will appreciate hearing something a little different from the usual pub-fare and you’ll set a truly Irish tone for your event. Happy St. Patrick’s Day! Sláinte! Cheers! I totally would’ve played music like this is I had been hosting for St. Patrick’s Day! Thanks for sharing! Thanks, Lindi! 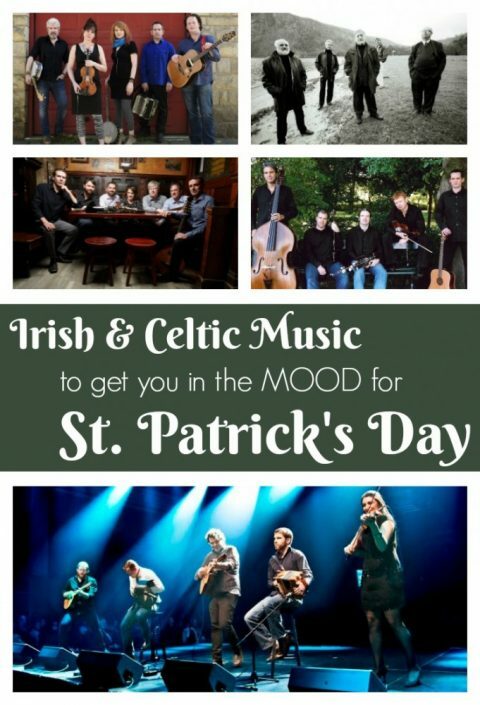 Well, you can play Irish and Celtic music any day of the year, of course.